This dark and arresting wood design makes the perfect base for an outdoor-inspired utility room. Capture the garden-fresh vibe with natural materials, a green colour scheme and house plants. A powerful reclaimed wood design that’s infused with rich coffee shades and arresting black grains. 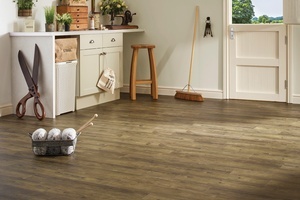 Reclaimed Barnwood is a rich and sumptuous wood-effect floor with extra rustic character. 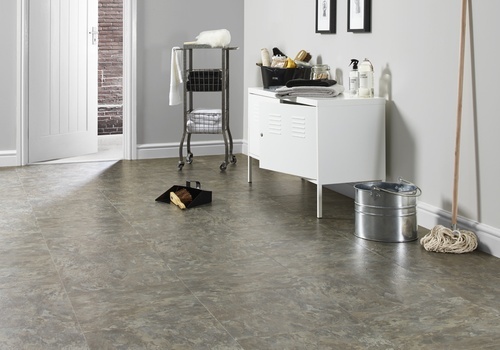 Its durable construction and water-resistant surface ensures this design is fit to be loved in even the most demanding rooms of the home, including bathrooms, hallways and kitchens. Order a free sample of Reclaimed Barnwood to get a feel for the textures of this characterful vinyl flooring design and see its shades close up. To view larger swatches, visit your local stockist. Find your nearest here. 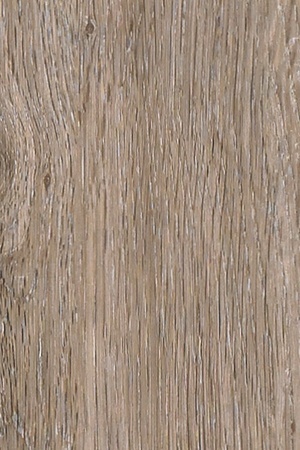 The on-trend ashen tones of Limed Oak make perfect company for contemporary interior schemes. 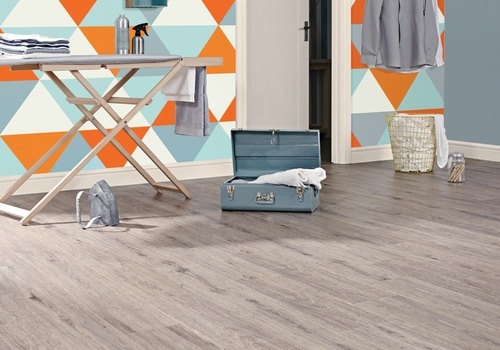 Pair this floor with dusky blues to accentuate it's grey tones and add pop colours to bring vibrancy to your room. 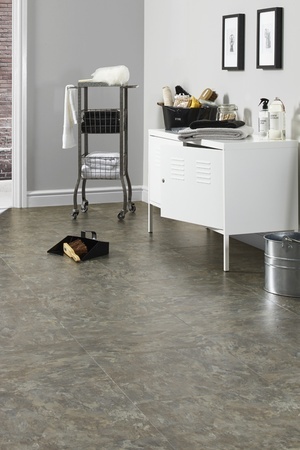 Detailed grains are washed with cool, ashen tones in this authentic grey flooring design. 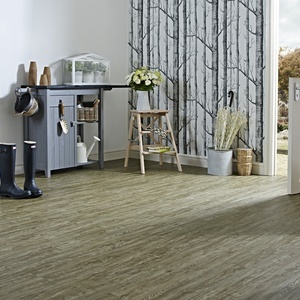 Combining a contemporary shade with the traditional look and feel of rustic oak, this grey vinyl flooring design is a testament to Nordic style. Each board is lime washed to imitate weathered driftwood and bevelled on all edges for a truly authentic wood flooring feel. 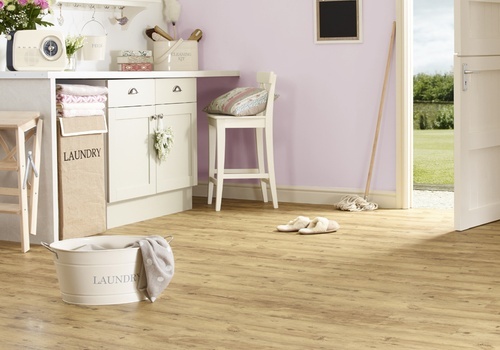 Soft underfoot and warm all year round, these vinyl floor planks bring a little extra luxury to beneath the feet. Plus, with a scratch and water-resistant surface, this floor is also fit to be enjoyed in even the most demanding rooms of the home. Order a free sample of Limed Oak to try out the colour in your space or pop in to your nearest stockist to view larger swatches and get expert advice. Find a stockist. This rustic floor combines earthy tones with striking grain patterns to capture a wonderful vision of nature beneath your feet. Pair the design with a fresh green colour palette, wood furniture and garden accessories to capture a feel of the fresh outdoors in your space. A wonderfully worn design characterised by cool earthy shades and rustic patterns. 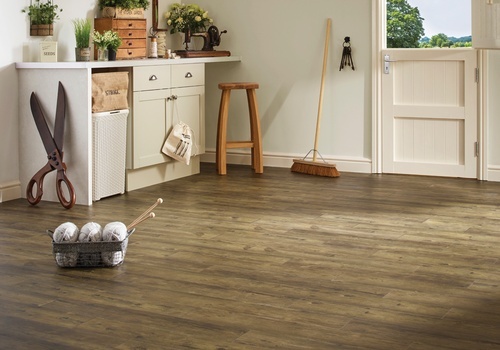 Tawny hues are combined with charming rustic character in this weathered wood flooring design. 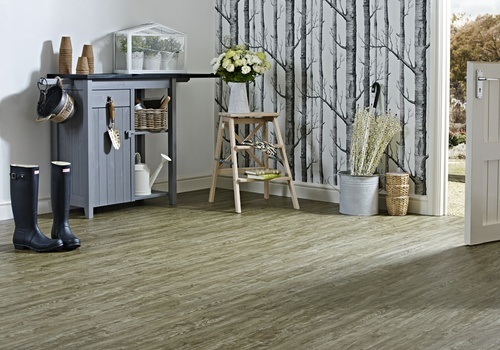 The floor makes a lovely addition to rooms with botanical themes and reclaimed wood furniture with fresh green colours accentuating the wood’s natural tones. Weathered Beam’s water and scratch-resistant surface ensures that it can be enjoyed in even the most demanding rooms of the home. Order a free sample of the flooring to take a closer look at its colour and get a feel for the authentic wood-like texture. 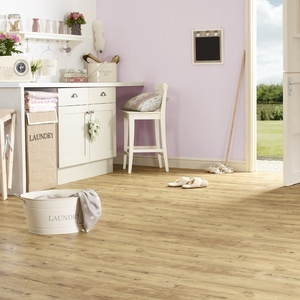 To see larger swatches and get expert advice with designing your floor, pop in to your nearest stockist. Abundant with authentic slate character, this modern grey tile is practical for utility rooms and perfect company for monochrome colour schemes. Style with metal furniture, touches of black and old-school accessories to capture the minimalist industrial look.